“There is a wind of change is blowing in the country’s politics.” Thus Daily Star quotes Professor Al Masud Hasanuzzaman (1). On the 30th of December 2018, Bangladesh will be voting on the 11th consecutive Parliamentary Elections of the country, and thereby determine its Prime Minister (7). The incumbent holder of that position, Sheikh Hasina of the Awami League (AL), has led the country’s Executive since 2008. But while in previous elections the months leading up to the elections have been tainted by violent political clashes, those protests that have occurred so far are not so much linked to the elections themselves. In fact, “the state of politics in the run up to the upcoming parliamentary polls looks quite different from what prevailed in 2006 and 2013” (1). In this first article on the elections, we will first consider why these elections are promising, but also why there is doubt about their constitutionality. Why are these elections promising? At least the three previous parliamentary elections are said to have been open only to the ruling party and its allies (2). 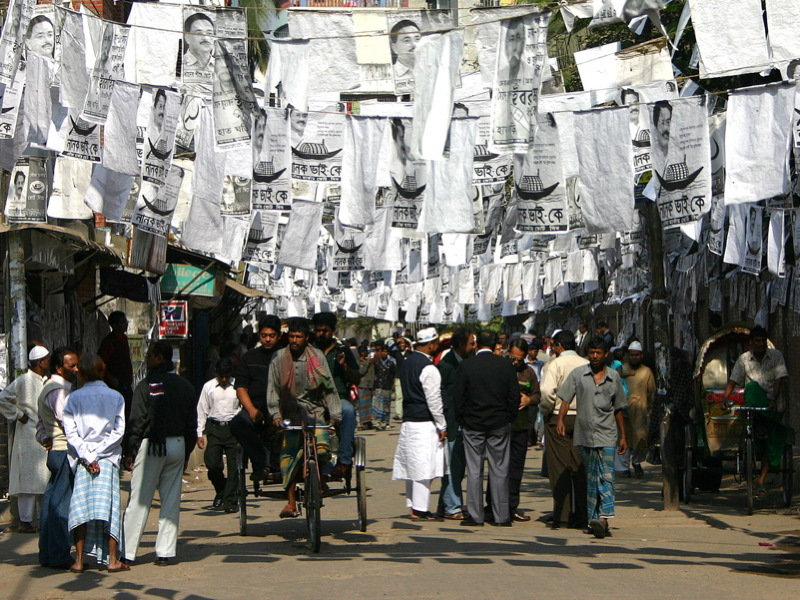 The ever-deteriorating state of democracy culminated in the 10th parliamentary elections of the 5th of January 2014, in which the Awami League secured a tremendous portion of seats. During the polls, observers reported violent clashes between opposition and police, with eighteen people dying in the wake of the polls alone (2). What makes the previous elections so relevant for the current political context is, however, not its electoral violence. Rather, “[as] the largely uncontested elections drew closer, the opposition began a campaign to suppress turnout, hoping it would pressure the government to scrap the results and prepare for new elections under conditions that the [opposition] would accept” (3). In his analysis of the situation, Riaz argues that “even an AL sympathizer” would consider the victory “hollow” (2). With the 2018 elections approaching, and although their official date has not been determined yet, it can already be observed that violent street agitation is largely absent, and that opposition parties are instead turning to dialogue with the ruling party (1). However, a first round of talks on the 1st of November on how to proceed with the elections lasted just three hours, and neither party claims to have experienced any progress. While some argue that the offer to talk “broke the ice”, others call to exercise caution in drawing conclusions, highlighting that the AL “may very well be buying time in guise of talks [or] might have agreed to a dialogue just to avoid being seen as the one closing the door on the talks.” (4). Why is there doubt about the constitutionality of the elections? As is implied in the description of the previous elections, certain rules apply considering party participation in parliamentary elections. While the exact legal provisions are quite complex, the issue can be broken down to the following: Leading up to elections, an existing government establishes an interim poll-time cabinet. As the current opposition does not have representation in the parliament due to its boycott of the previous elections, it argues that it will also be excluded from the cabinet. The opposition is thus urging the government to dissolve the government – this would lead to the establishment of a representative part-time government that would then set up an equally representative cabinet. According to the BNP, this would be the “only way” to create inclusive elections. On the other hand, the ruling Awami League argues that such measures are not necessary, but that other constitutional means can allow the cabinet to be representative (5). Overall, it is advisable for the government “to hold an inclusive general election to form the next Parliament [as] otherwise the political situation may assume the worse shape [sic]” (5). 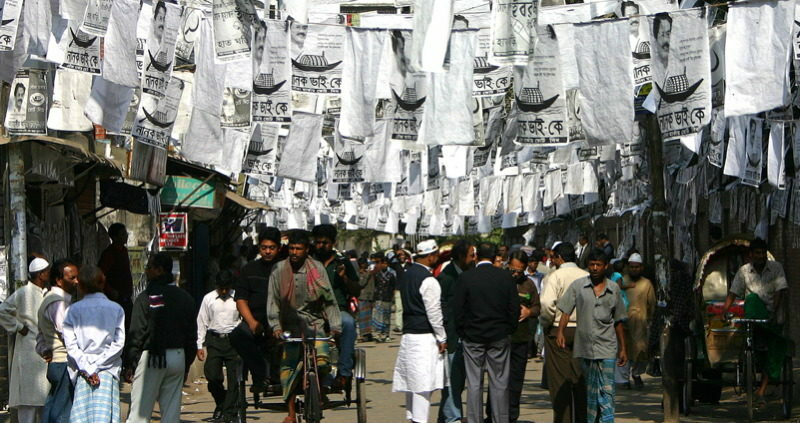 The government is thus noticeable placing huge emphasis on the constitutionality of the elections, which political analyst Ataur Rahman sees as a move to secure public approval, as constitutionality arguably provides actors with legitimacy (5).